DIVISION 1: 2018-19 Season Preview! The 2018-19 Cosmopolitan Soccer League season is just a day away, Onz Chery reports on some of the most noteworthy pre-season news to keep in mind going into the season from Lansdowne’s new player-coach to New York Cosmos’ 2018 NPSL top scorer's loan move to Cedar Stars Academy. 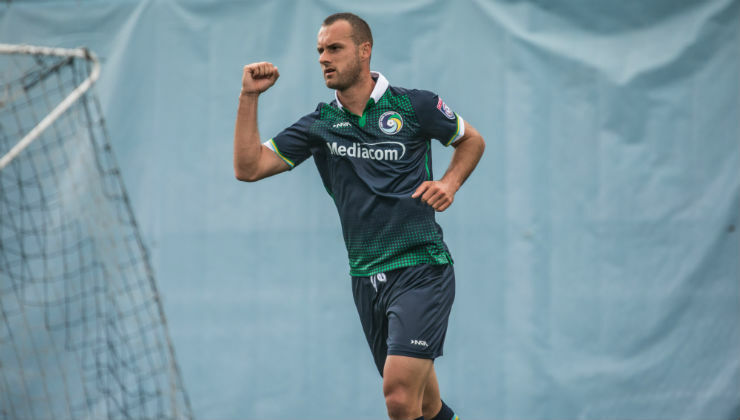 Cedar Stars Academy signed New York Cosmos striker Bledi Bardic on loan for the Fall season. Bardic previously played for the Stars in the 2014-15 season. The NPSL North Region 2018 topscorer is thrilled to join the CSL again. “Definitely this is best amateur league in the U.S.,” Bardic said. “I’m excited to play for Cedar Stars in the CSL this Fall season and get more games here. Cedar’s attacking midfielder and last year’s MVP and top scorer Christopher Katona is content the club added Bardic to their already sturdy roster. “Adding a caliber player like Bledi, along with our other professional experienced players will make us more versatile and dangerous,” Katona said. 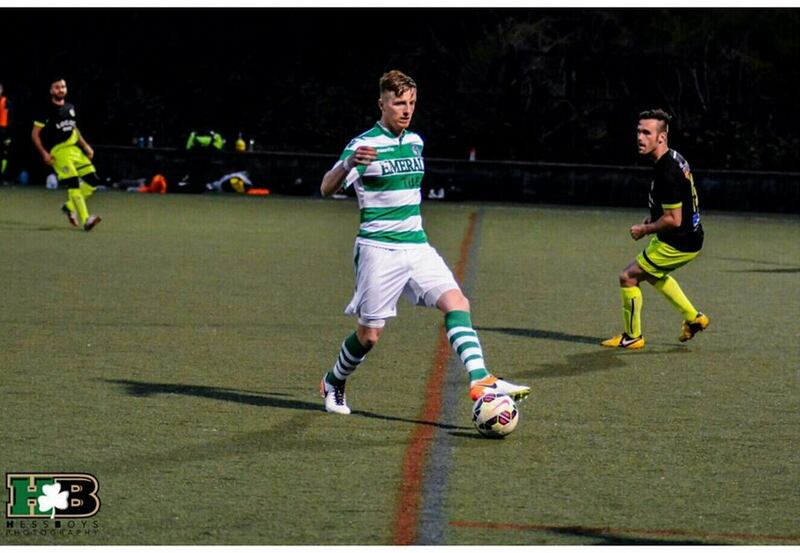 Four-time CSL champions Lansdowne Bhoys acquired their captain Sean Kelly as head coach going into the season after Austin Friel’s departure. Kelly will be playing center half for the club still while coaching. “It’s not going to be easy to do both but the plan is to coach and play,” the Irishman said. He previously stated: "I have a feeling of mixed emotions going into the new season, I’m obviously very excited starting the new season as coach of Lansdowne, it’s always great starting a new season as a player, but now that my role in the club has changed I have a lot more responsibilities with training sessions and especially with the players." Kelly coached the club in the inaugural season of the NESL, which was played between June and August. Lansdowne were knocked out in the semifinals, finishing the season with a 3-3-1 record. 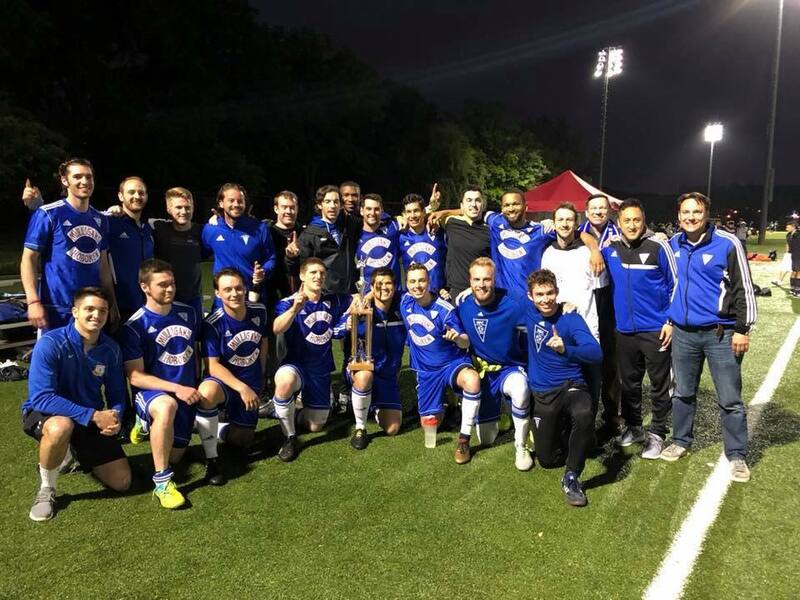 The first CSL trophy coach Kelly will put up a fight for is nothing short of arduous as Lansdowne will go into the season as defending champions in the crowd of ferocious clubs as Cedar Stars, NY Greek Americans and so on. However the new coach is not shying away from the challenge. “Everybody knows it’s hard to win your domestic league but it’s even harder to retain it the following season but I didn’t take on this role to take a step back; I believe I can take it a step further and achieve that,” the defender said. Hoboken F.C players and coaches pose for a picture with the Division 2 trophy. Hoboken F.C played one of the most successful seasons we’ve seen in D2 in recent years as they only loss one of their 17 games, led the division in scoring, finding the net 76 times and conceded the second least goals, 21. Cory Chaplin, who led the team in goals last year, emphasized how crucial it is to go into the season confident amongst the CSL giants. The Jersey club will enter the top flight after a three-year absence however their head coach Marco Chung will be coaching for the first time in D1. “New challenges are always a great thing for me,” Chung said about the upcoming season. Cedar Stars had one of those regular seasons that makes you double-check the stats last year. 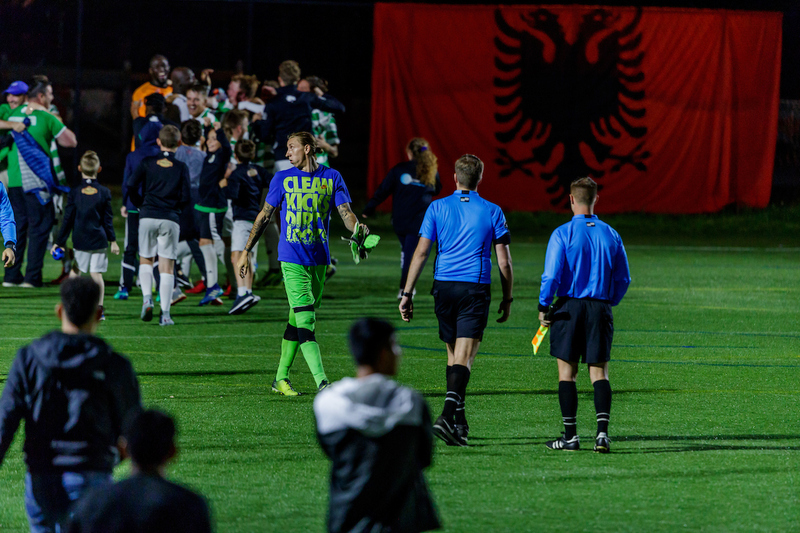 They outscored their opponents 68-12 in just 18 games, set a CSL record of the longest win streak, 12, and longest consecutive games without conceding a goal, 10, while blanking two of the best teams in the history of the league, Lansdowne Bhoys and NY Pancyprian Freedoms 3-0 each. Unfortunately for them they didn’t cap their season with the one thing that really matters: the CSL trophy. When the Stars reached the final versus Lansdowne, their starting keeper suffered a concussion in the seventh minute. The league’s topscorer Christopher Katona stepped in the goal for the injured keeper. Despite not having a natural shotstopper between the sticks, CSA kept Lansdowne scoreless for 90 minutes and scored a goal in the second half. But with just seconds to go, Lansdowne was rewarded a disputable penalty for Daniel Cordeiro’s shoulder to shoulder challenge onOvan Oakley. 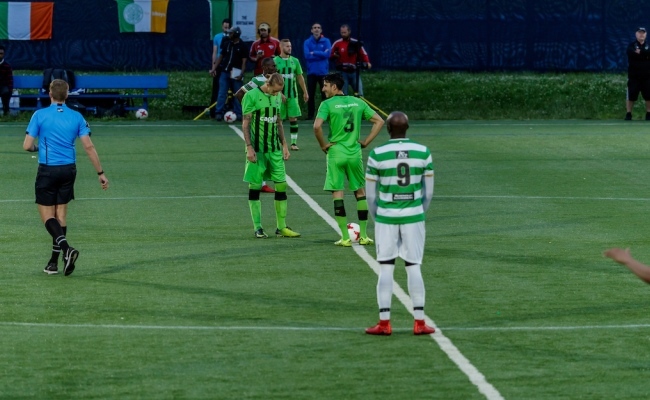 Sean Kelly converted the spot kick to usher the Bhoys to a penalty shootout, which they eventually won 4-2 over the Stars. “It was an unfortunate call to lose in the final,” Katona said. The midfielder craves to help Cedar Stars reach the final again—play outside of the goal this time and come out on top. “We set out last year to not only make the playoffs, but to compete for the championship and win,” Katona said. “Our goal hasn’t changed, we look forward to Sunday evening to resume our quest for the title.